At County Place Early Learning & Care Centre, we strive to provide a clean, safe and educational environment for young children and their families. Within our care, children develop skills that promote physical, emotional, social and intellectual growth. We believe in being supportive of our parents, and we welcome their positive involvement and presence at County Place at all times. We further believe that within our environment, children can thrive and have the opportunity to blossom into responsible and contributing members of our society. 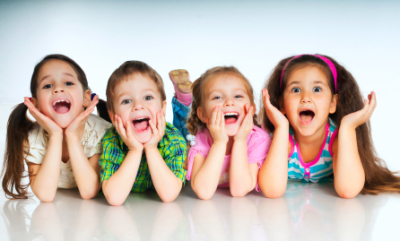 Our goals as a daycare provider is to have a secure, safe and happy environment where children feel comfortable while they are away from family and home. This includes a learning environment where they have the tools to excel at their own pace and helping them to learn independence. County Place Early Learning & Care Centre is dedicated and committed to our children by providing exceptional education and quality child care. It is our philosophy to focus on the needs of the individual child by providing a stimulating atmosphere for learning along with a secure, loving environment. It is our belief that a childcare facility should be an extension of each child’s family. At County Place, teachers and parents are encouraged to work together to provide the love and support needed as your child reaches developmental milestones and his/her own personal achievements. We are passionate about education and providing our children with the tools to be successful in life.